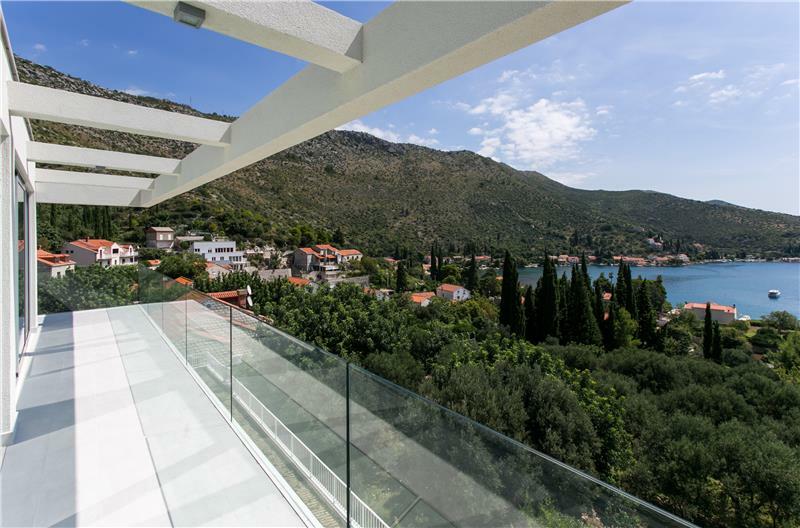 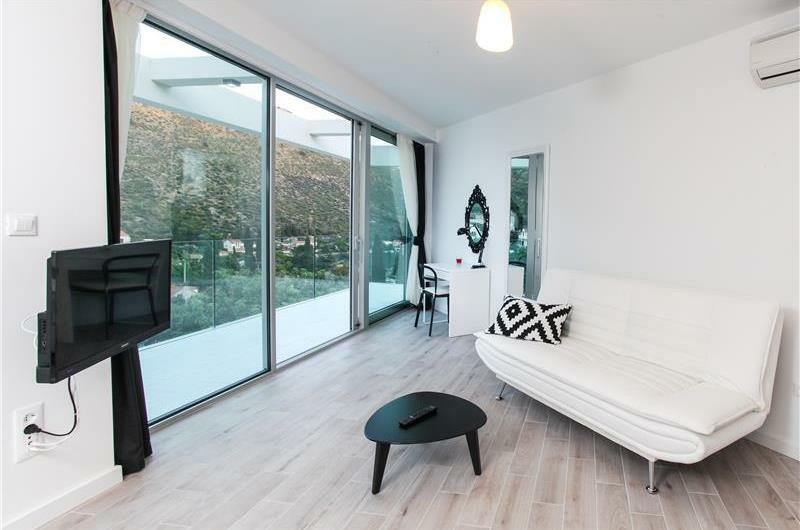 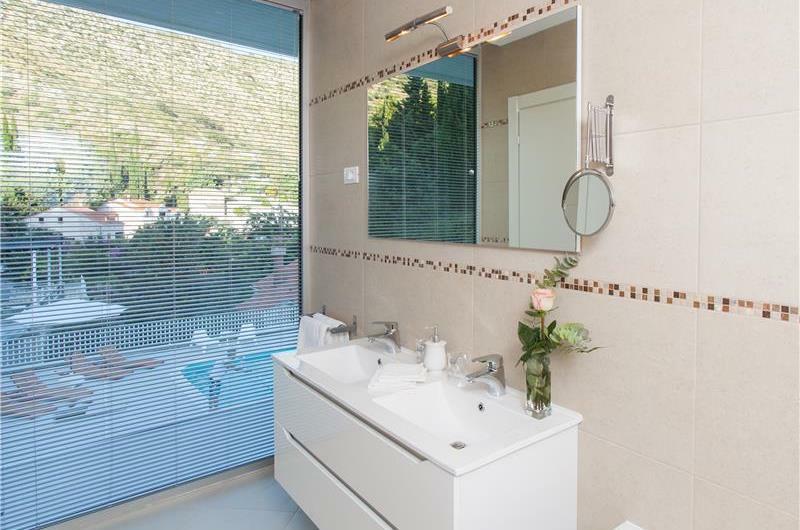 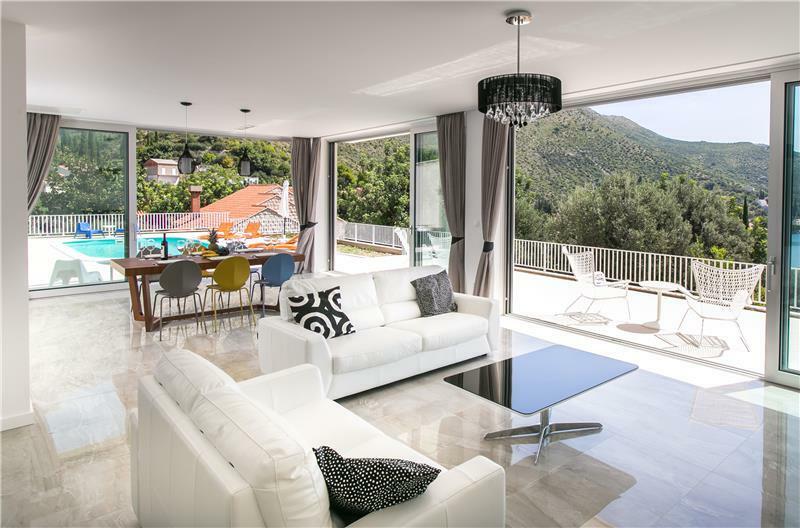 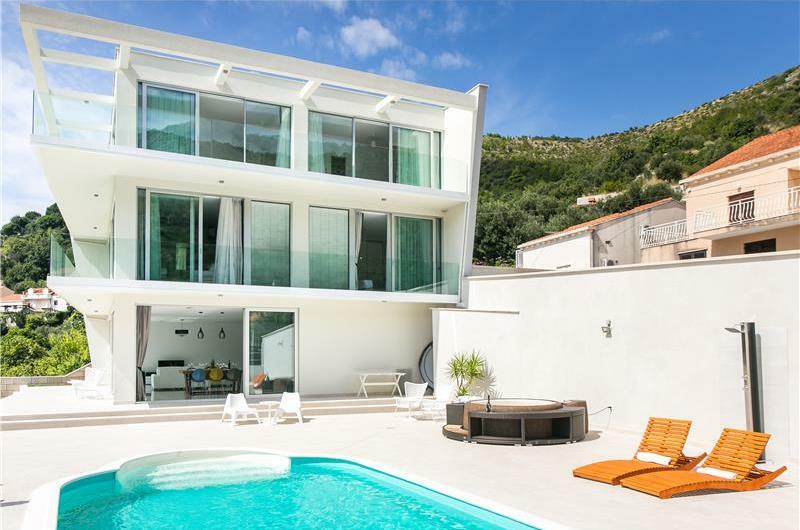 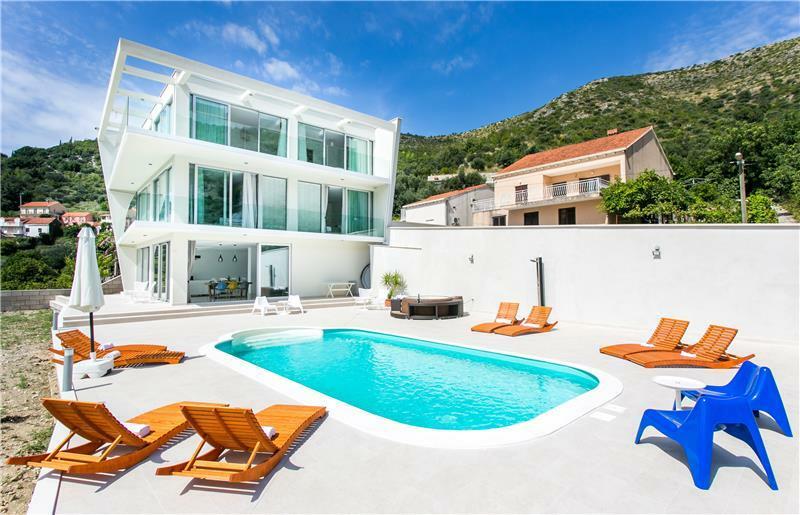 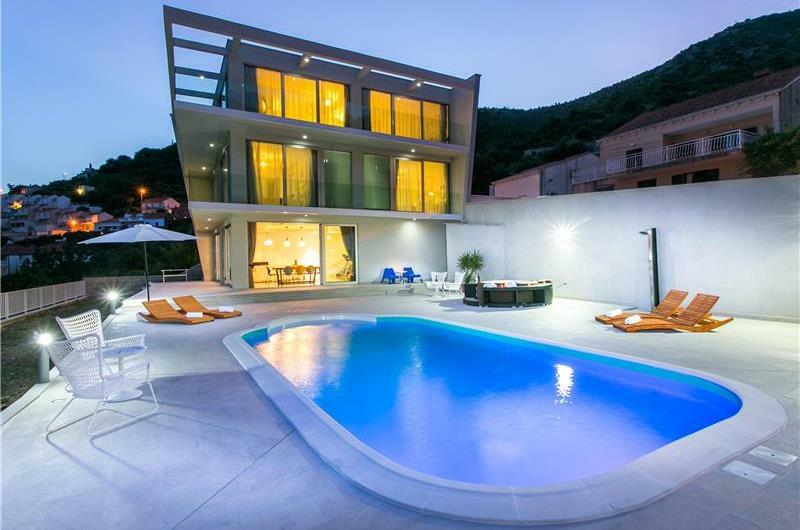 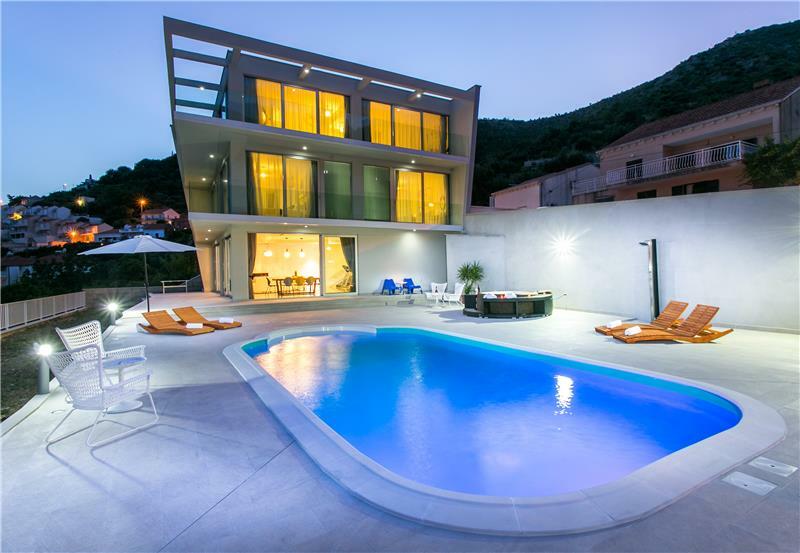 This elegantly designed spacious villa arranged over three floors is located in the small town of Zaton, just a few kilometres outside of the historical town of Dubrovnik. 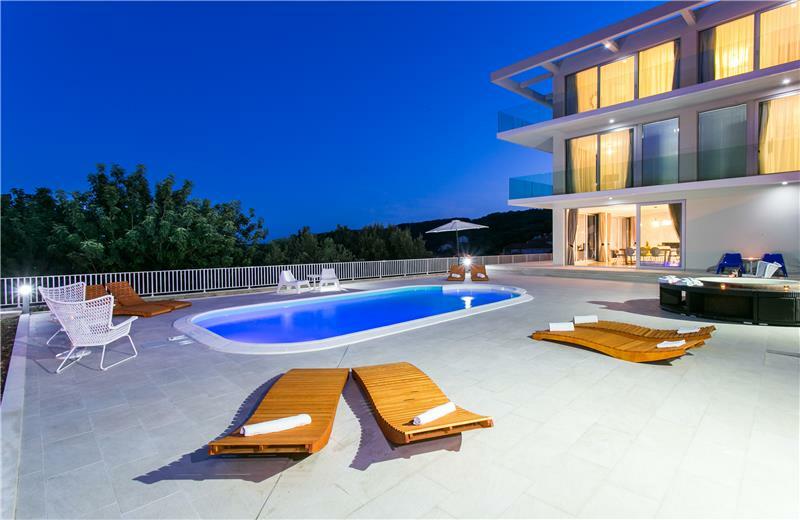 As the villa is situated on a hillside, from each room and from the large terrace there are great views of surrounding bay and coastline. 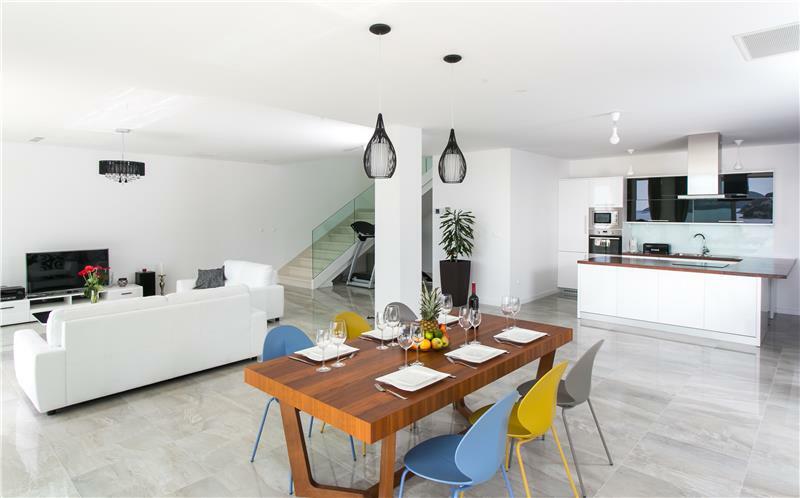 Guests enter the villa on the first floor with stairs leading down to the modern and bright lounge with sofa bed for 2, dining area and modern kitchen, plus separate toilet. Large glass patio doors open to the terrace with swimming pool and equipped with Jacuzzi, sun loungers, dining facilities and parasols for shade. 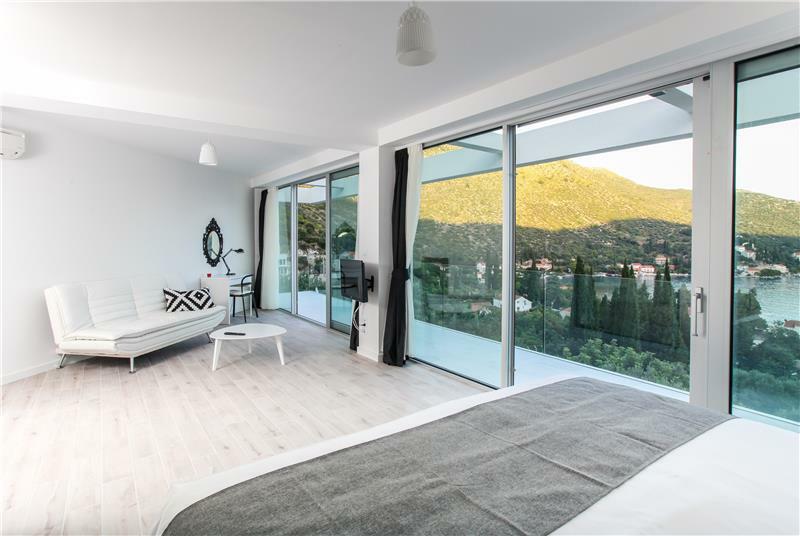 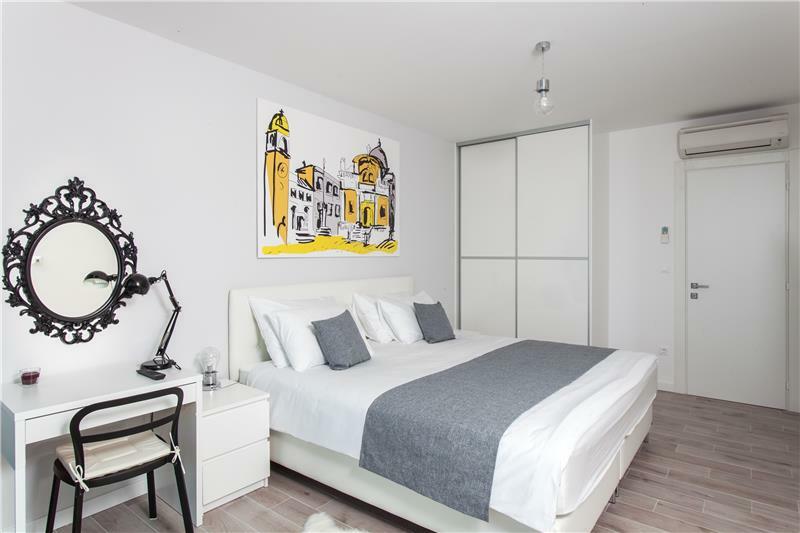 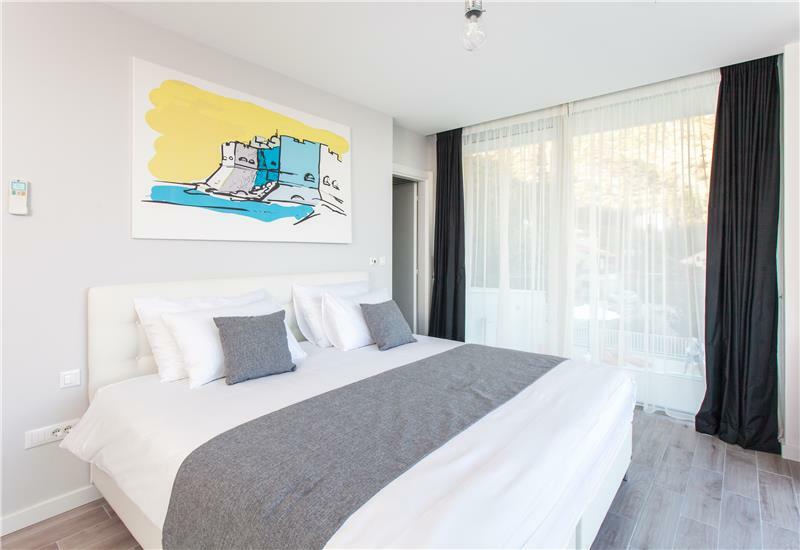 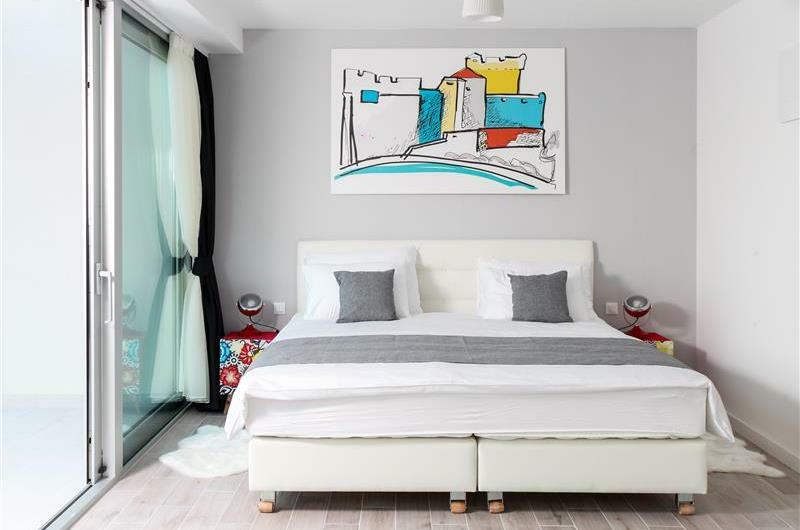 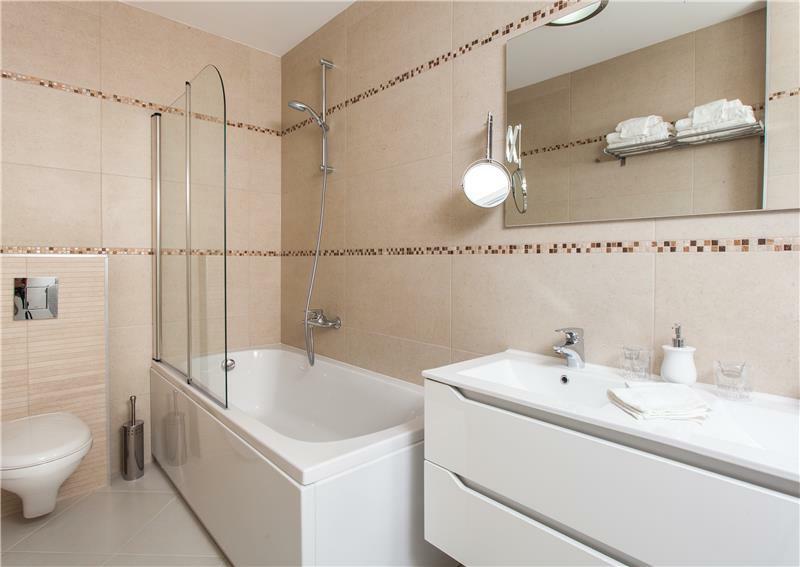 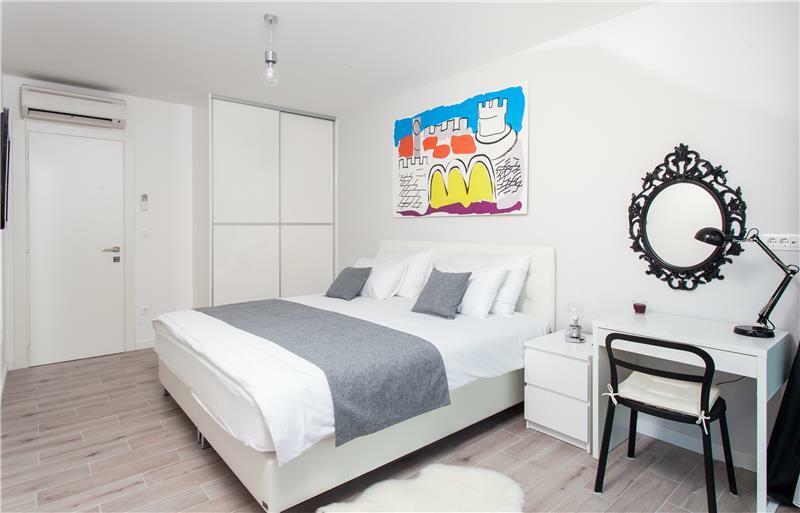 The first floor consists of 3 double bedrooms with floor to ceiling windows, wrap-around balconies and en-suite bathrooms. 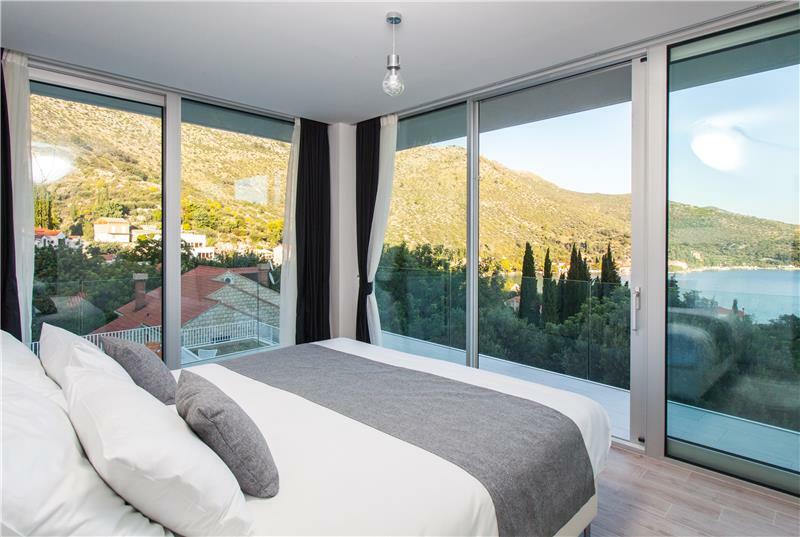 The second floor has a 4th bedroom the same as the ones on the first floor plus the master bedroom with lounge area, en-suite bathroom, floor to ceiling windows and balcony. Zaton is a pretty little town where you can find a selection of beaches, trails along the sea front and a choice of charming restaurants serving local dishes. The famous old town of Dubrovnik can be reached within a 15 minute drive while the pretty coastal town of Cavtat is a few kilometers further along. 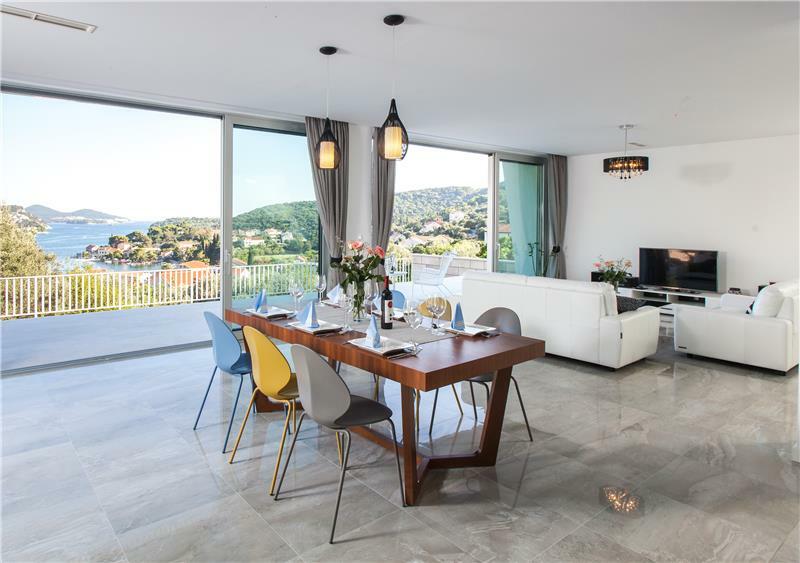 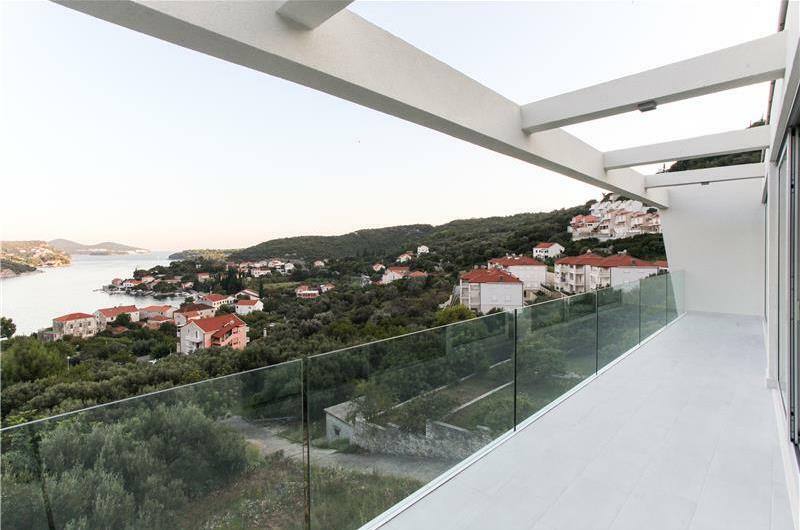 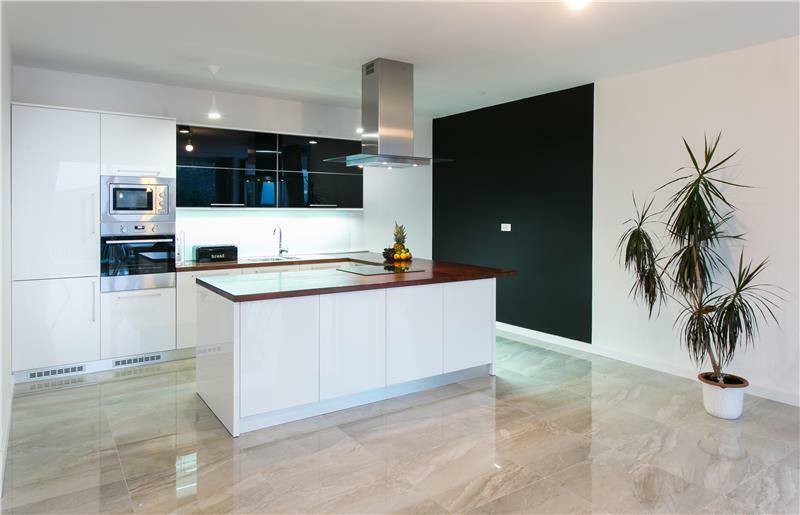 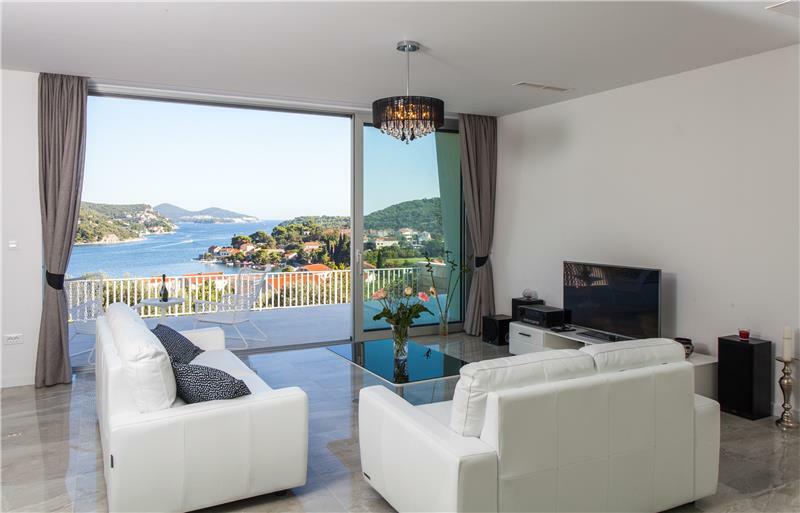 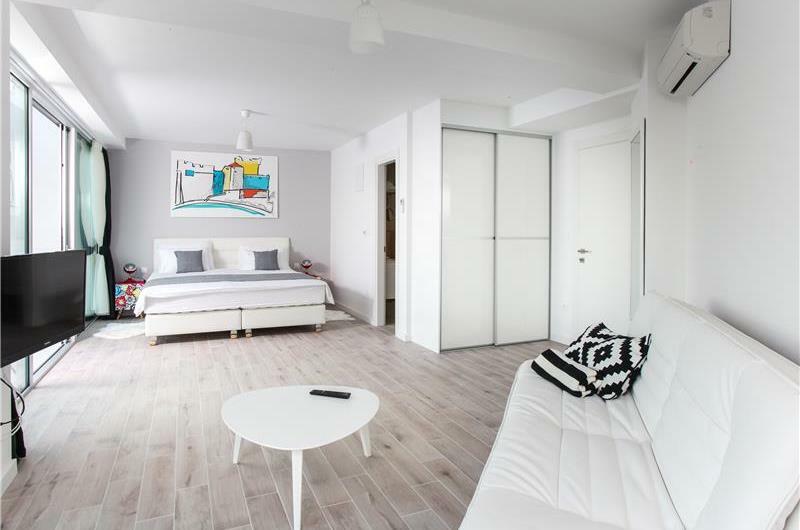 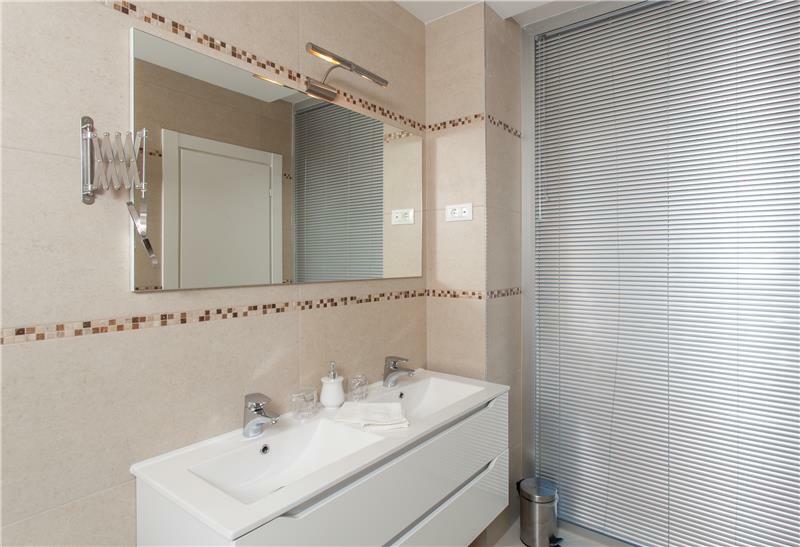 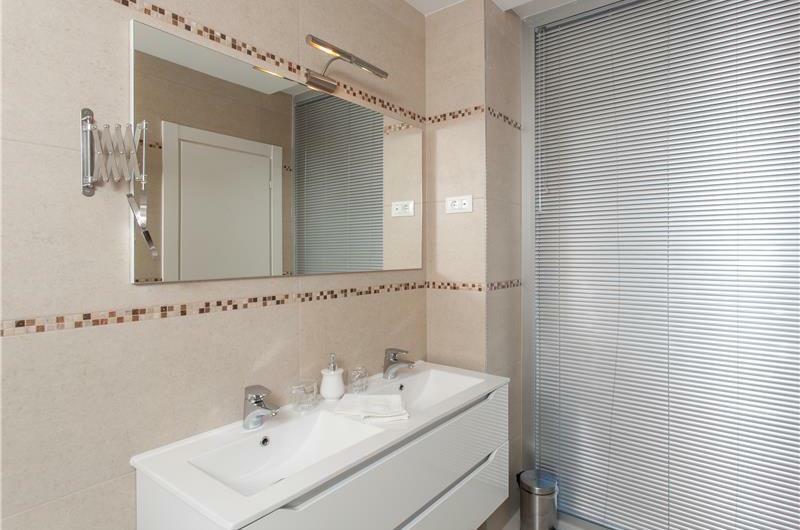 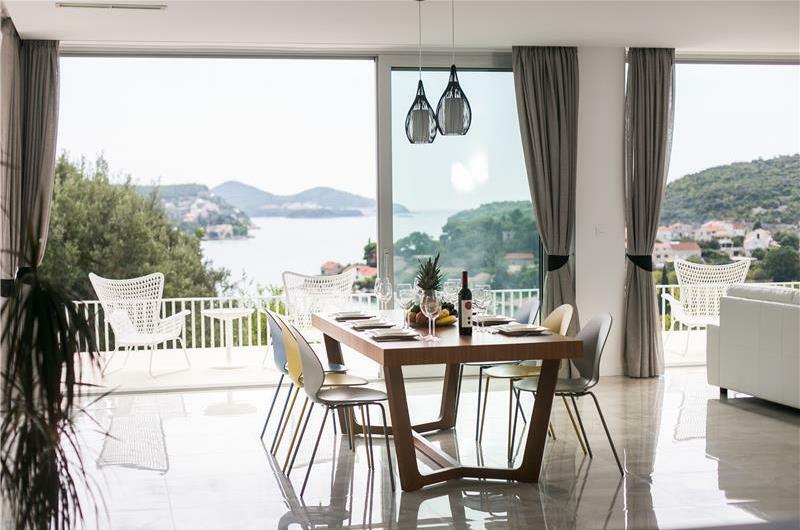 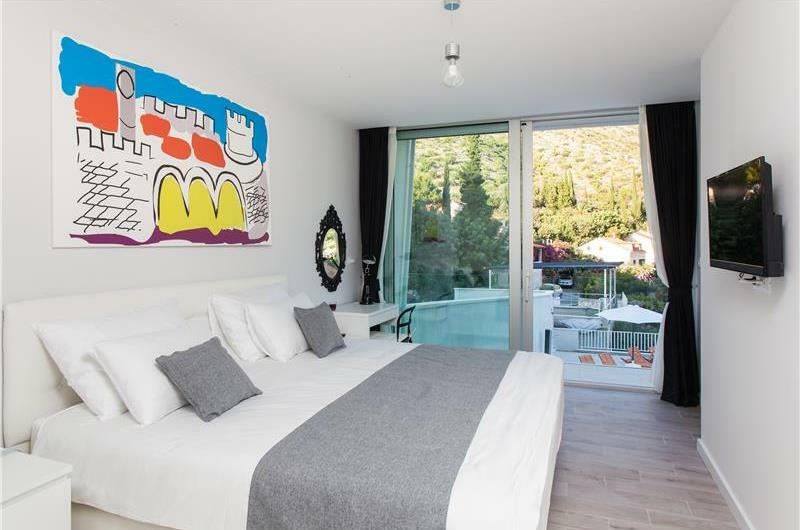 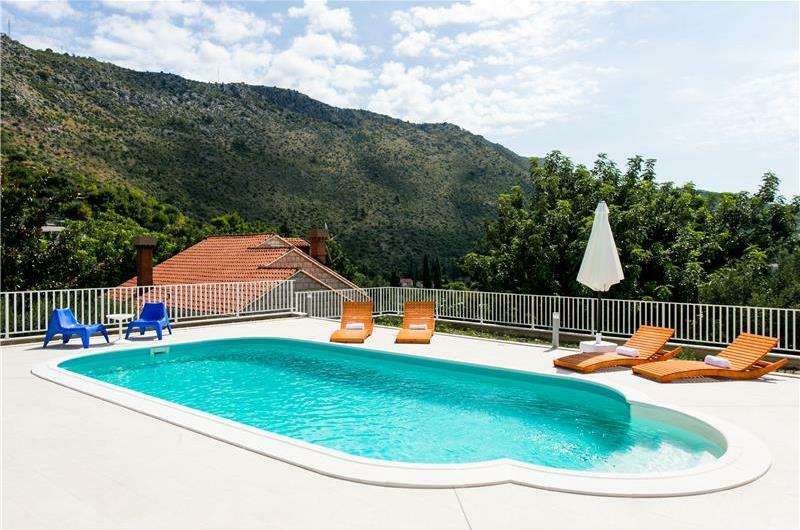 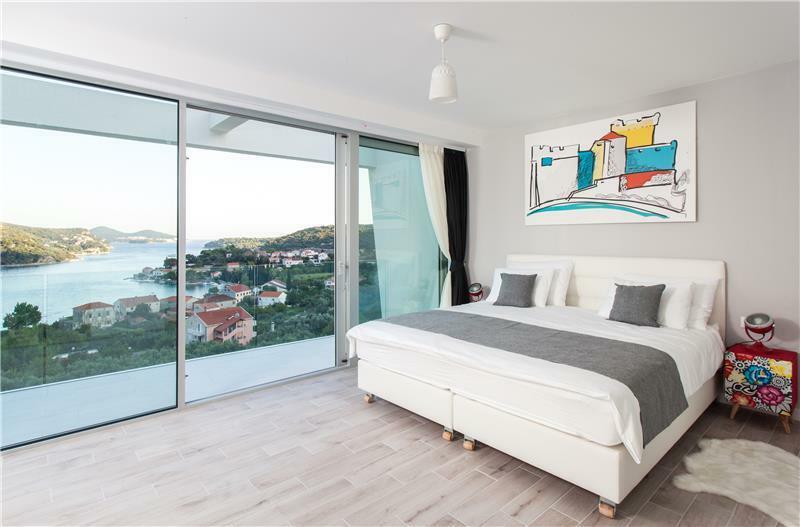 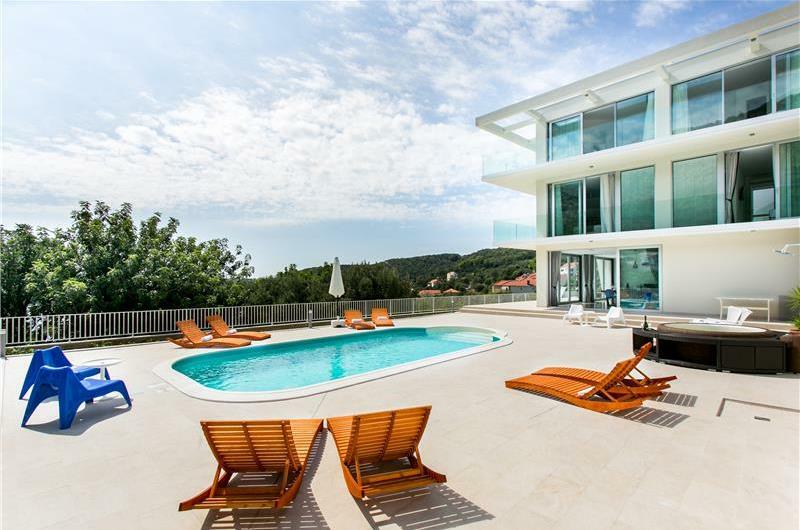 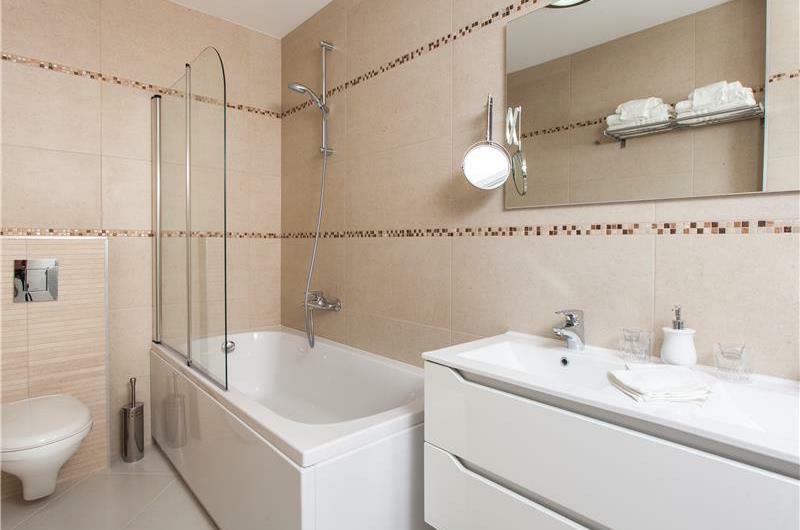 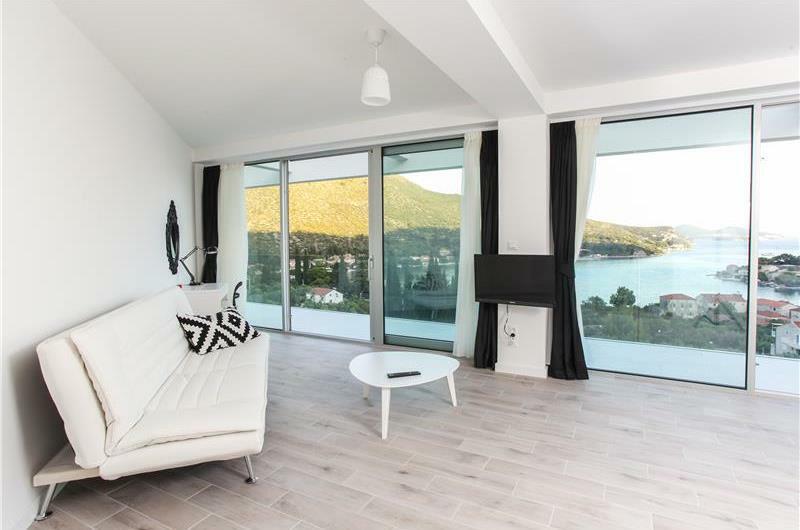 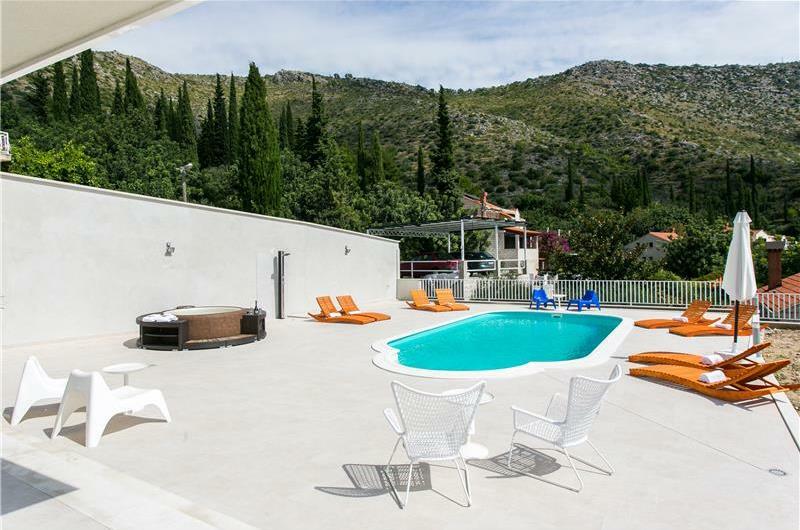 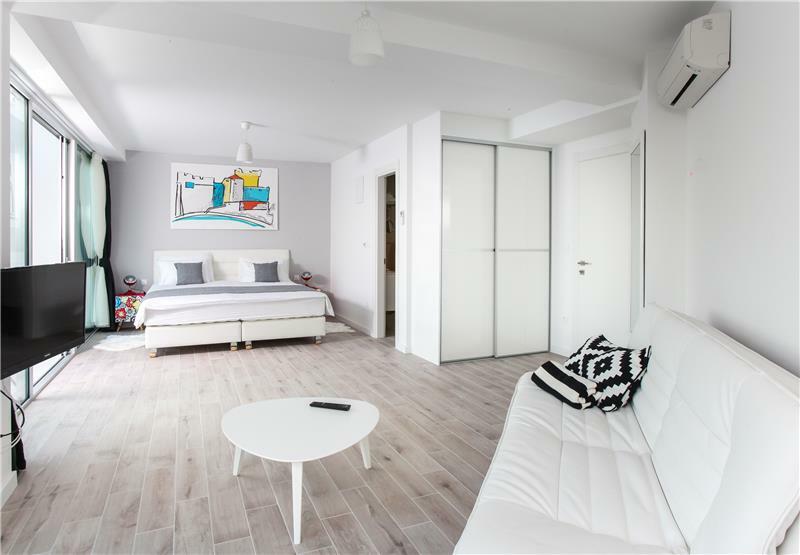 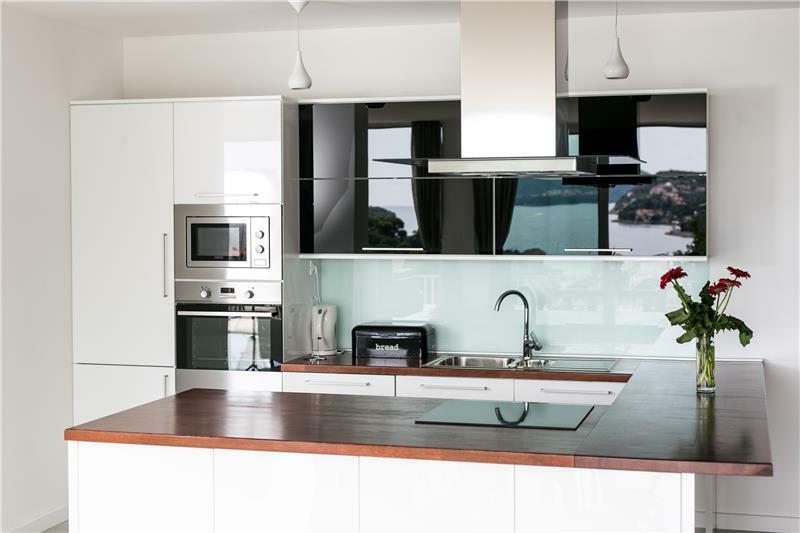 This villa is perfect for a large family or group of friends who want a modern place to stay which allows them to explore this popular area of Croatia, Car hire is recommended.